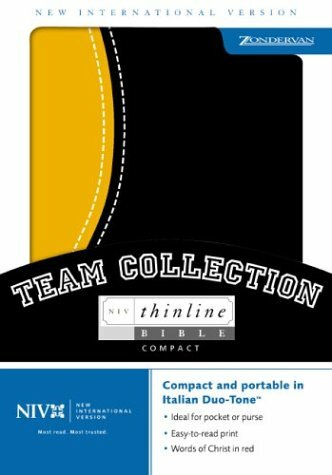 NIV Compact Thinline Team Collection was written by Zondervan Publishing. NIV Compact Thinline Team Collection was published by Zonderkidz. Subjects of NIV Compact Thinline Team Collection include Bibles, Bibles - New International, Bibles / New International Version / General, Christianity: Bibles & Liturgy, New International Version - General, and The Bible.